Dieses Tool bringt eure gelöschten Daten auf Android-Geräten zurück. 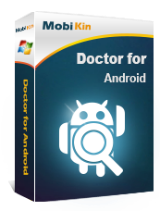 MobiKin Doctor for Android 3.0.24 war am 11. Februar 2018! als Giveaway verfügbar! 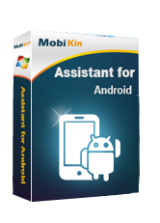 MobiKin Doctor for Android hilft euch beim Wiederherstellen von bis zu 8 Typen von Android-Daten wie z.B. Kontakte, Nachrichten, Medien (Fotos, Filme, Musik), Dokumente usw. Kontakte und SMS werden im TXT oder HTML-Format auf eurem PC gespeichert, die restlichen Dateien werden im Originalformat gespeichert, z.B. zum anschließenden Bearbeiten. 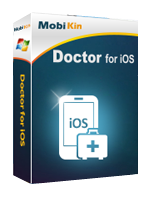 MobiKin Doctor for Android - lebenslange Lizenz mit 30% Rabatt. just checked... it does need to be rooted. No Go! Assuming this license is the one that matches the price shown above (before discount) it equates to 1 year license for 1 PC and upto 3 android devices... what kind of limitation is that! There should be no limit on number of android devices you can use it on! 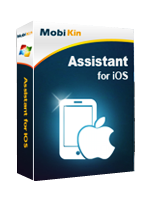 The undiscounted price for 1 PC with unlimited number of android devices so you don't have to worry if you frequently upgrade of own many android devices is $299 and if you want a lifetime license then that would be $499 otherwise you have to accept a deliberatly crippled version! What is a "1-Year Subscription" and how do I turn off the automatic renewal? A: When purchasing from the official website, you have two license types to choose from: 1 Year Subscription and Lifetime License. If you choose 1 Year Subscription, you are only allowed to use this license for one year, and after that you can renew if you want." "(Please be noted that if you wish to get back the lost Android contacts, call logs or text messages, you need to root the phone at first.)" implying that other stuff like deleted users files may not need rooting but that is an inference not something stated directly. Assuming this license is the one that matches the price shown above (before discount) it equates to 1 year license for 1 PC and upto 3 android devices... what kind of limitation is that! There should be no limit on number of android devices you can use it on! 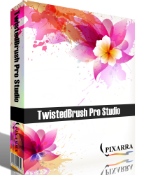 The undiscounted price for 1 PC with unlimited number of android devices so you don't have to worry if you frequently upgrade of own many android devices is $299 and if you want a lifetime license then that would be $499 otherwise you have to accept a deliberatly crippled version! And regarding what "a 1 year"* license means compared to "a lifetime"* license from the sales FAQ it's a usage license not specifically an free updates for * https://www.mobikin.com/support/sales-faqs/ "Sales FAQs - What is a "1-Year Subscription" and how do I turn off the automatic renewal? A: When purchasing from the official website, you have two license types to choose from: 1 Year Subscription and Lifetime License. If you choose 1 Year Subscription, you are only allowed to use this license for one year, and after that you can renew if you want." According to the Guid tab on their site: "(Please be noted that if you wish to get back the lost Android contacts, call logs or text messages, you need to root the phone at first.)" implying that other stuff like deleted users files may not need rooting but that is an inference not something stated directly. ‘Purchase lifetime licence at 39% off’ so this is NOT a lifetime license. ‘Purchase lifetime licence at 39% off’ so this is NOT a lifetime license. Once again! How long is the license for? Preceyese Seyeght, some people use tablet or phones as their only means nowadays. It limits what they can do but it's their option. Losing files can happen on PC just as well. Preceyese Seyeght, some people use tablet or phones as their only means nowadays. It limits what they can do but it's their option. Losing files can happen on PC just as well.